Simple and chic are two words that are part of the Chanel lexicon. The House's fragrance collection Les Exclusifs de Chanel, is a fine example. Identical square bottles bearing a simple clean white box with the iconic capitalised font. Each fragrance, a slightly different shade, from clear (Eau de Cologne) to liquid gold (Cuir de Russie). 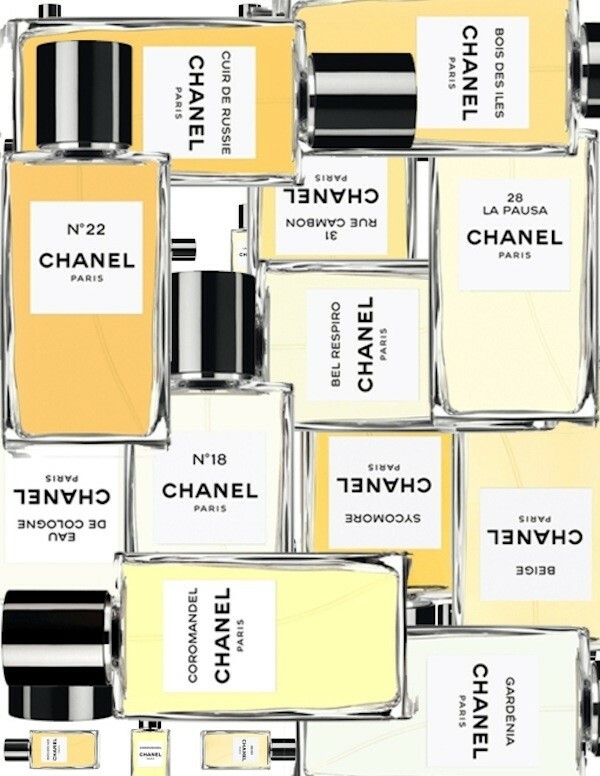 The collection, created by Chanel nose Jacques Polge, first launched in 2007. Additional fragrances have joined the collection since, now totalling 13. Modern compositions inspired by the House of Chanel and Gabrielle Chanel – her favourite colour and fabric, her flower of choice, her country home and its interior design and the Chanel headquarters at 31 Rue Cambon. The bottles are also available in a 2.5 oz. flacon, perfect for travel. Here AnOther selects its five favourites from the collection of 13 fragrances. BEIGE — "I take refuge in beige because it's natural," said Gabrielle Chanel. She loved all shades of this colour, and transformed it into a symbol of elegance, using it regularly in her designs. A powdery floral, the fragrance interpreted by Jacques Polge and Chris Sheldrake, combines hawthorn, freesia and frangipani with hints of honey. JERSEY — In 1916, Gabrielle Chanel outraged the fashion industry by using jersey at a time when it was strictly associated with men's underwear. The designs soon became very popular with clients, a post-war generation of women for whom the corseted restricted clothing seemed old-fashioned and impractical. The clean, fresh fragrance makes use of lavender, an essence previously worn only by men, as well as vanilla and musk. GARDÉNIA — Gabrilelle Chanel's favourite flower was the camellia. Sadly, the flower has no scent so Chanel and Ernest Beaux decided to create a fragance based on a similiar sweet-scented flower, gardenia, first launched in 1925. The modern interpretation is summery, with notes of jasmine, orange blossom, tuberose, clove, sage, pimento, musk, patchouli, sandalwood and vetiver. 28 LA PAUSA — Jacques Polge created this fragrance in 2007, inspired by Gabrielle Chanel's country home in Roquebrune-Cap-Martin on the French Riviera. It is a powdery woody floral with notes of iris. 31 RUE CAMBON — Inspired by the address of Chanel's headquarters, housing the boutique, haute couture salon, Gabrielle's private apartment, the design studio and the workshops. The warm Chypre combines notes of iris and black pepper. A perfect compliment to the Les Exclusifs de Chanel fragrances, the new body cream is available now. The new Les Exclusifs de Chanel fragrance, 1932, arrives at selected boutiques on March 1.